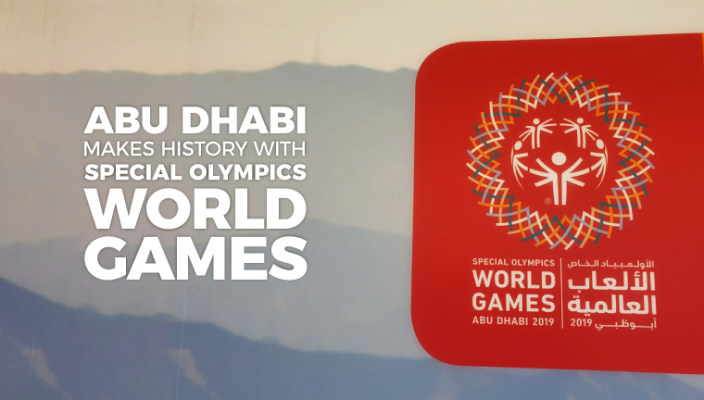 The Middle East is currently making history as Abu Dhabi plays host to the region’s first-ever Special Olympics World Games. On now in the UAE’s capital and running till the 21 March, the competitive sporting event for people with intellectual disabilities was first held 50 years ago. Over 7,000 athletes from 170 countries are participating in the event, which is being held namely in Zayed Sports City Stadium, under the Patronage of His Highness Sheikh Mohammed bin Zayed Al Nahyan. As part of the events, participants will compete in 24 different individual and team sports, ranging from swimming, football, sailing, tennis, volleyball, gymnastics, equestrian sports and triathlon. Abu Dhabi’s leaders hope the event will promote positive social change for people with intellectual disabilities and create a more inclusive society. The event is particularly poignant for the capital in light of 2019 having been declared as the Year of Tolerance, as the government promotes the UAE as a respectful environment and a bridge for people from different walks of life. In addition, the government has adopted The Strategic Plan for the Rights of Children with Disabilities 2017-2021 as part of its UAE vision 2021, which is focused on ensuring a right to a long and healthy life, optimal education system and an integrated lifestyle. The event opened to huge fanfare on 14 March as Zayed Stadium hosts the opening ceremony, at which 40,000 spectators are expected. In the tradition of the Olympics, the event kicked off with a parade featuring all the participant nations and a number of international celebrities and sporting heroes. The event organizers also hosted a concert as part of the opening ceremony at which Avril Lavigne, Paul Oakenfold And Hussain Al Jassmi amongst others performed. In addition to the opening concert, the UAE is hosting a range of other events, activities and workshops, catering to various stakeholders, from the participants themselves to their friends and family and the local community. Working to promote tolerance, acceptance, inclusion and the empowerment of people with learning disabilities through sports, the events include The Special Olympics Global Youth Leadership Summit, the Family Programme, Athlete Leadership Program, Motor Activity Training Program and much more. Arguably the most prestigious and symbolic among these events is the torch run, with the aim of raising awareness and funds for the Special Olympics movement. A powerful unifying symbol, the torch relay kicked off on the 4 March and goes on till the 13th of the month. These efforts are part of a broader movement to promote the rights of children with disabilities and maximize their well-being nationwide. Organizers of the event also called on volunteers to help make the Special Olympics World Games possible. Those over the age of 14 both within the UAE and beyond were eligible to apply and their vital support was provided across a wide range of roles, covering everything from technology through to events, medical support services, operations, guest and language services.